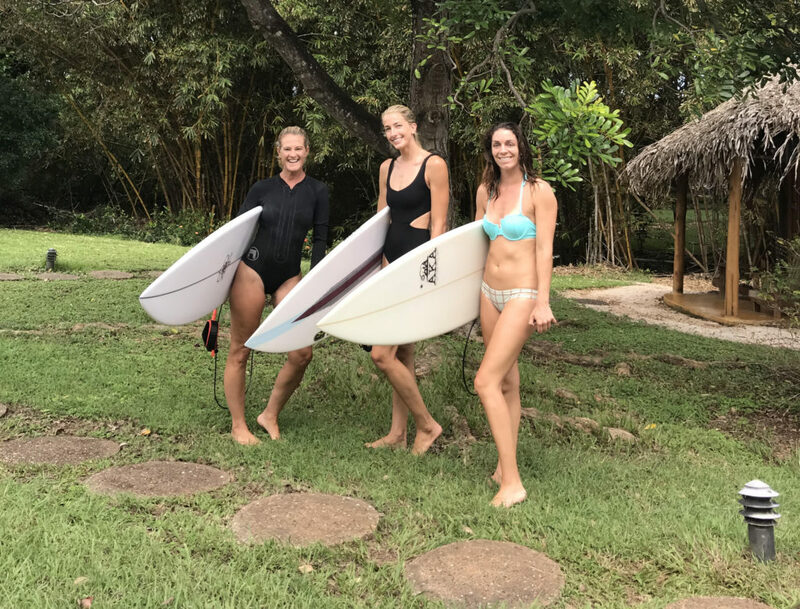 A trio of girlfriends from San Diego joined us on our advanced shortboard retreat this year. One of them, Katarina – a badass mom of two who was charging into some bombs over shallow reef during the retreat – shared a quick summary of her experience. 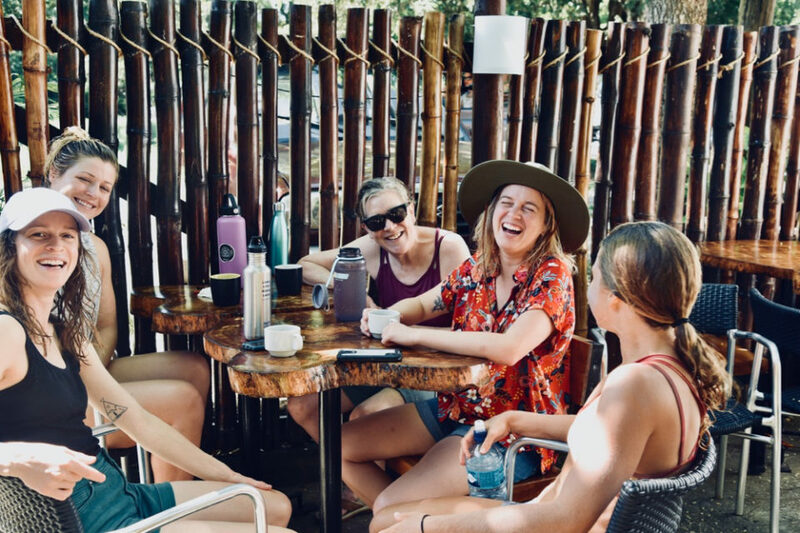 It was awesome to go on a trip with your girlfriends and truly be able to surf at every opportunity. We got advice from every angle and I was able to progress further in one trip than all the rest of my surf travels combined. It was truly better than my expectations! I have two kids and have to juggle my time in the water. Knowing I didn’t need to do the search for the right time, tide, location, my mind was free to just surf! I just needed to show up! How often do we get to do just that day in and day out?! 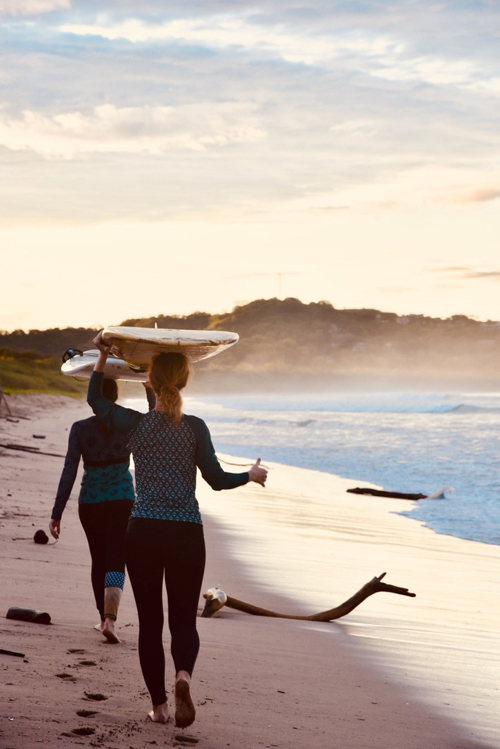 Due to high demand, we just added new dates for our all-levels women’s Surf Yoga Retreats in Northern Costa Rica. 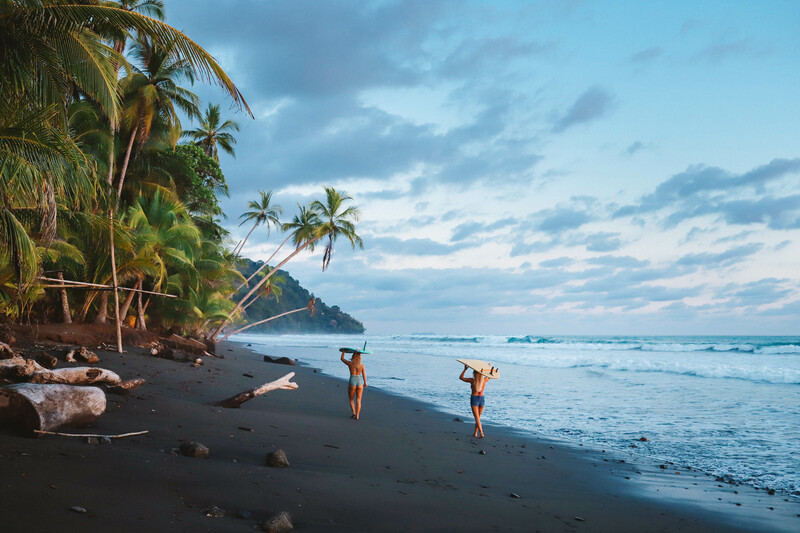 This location has waves for everyone – from first timers to experienced surfers. 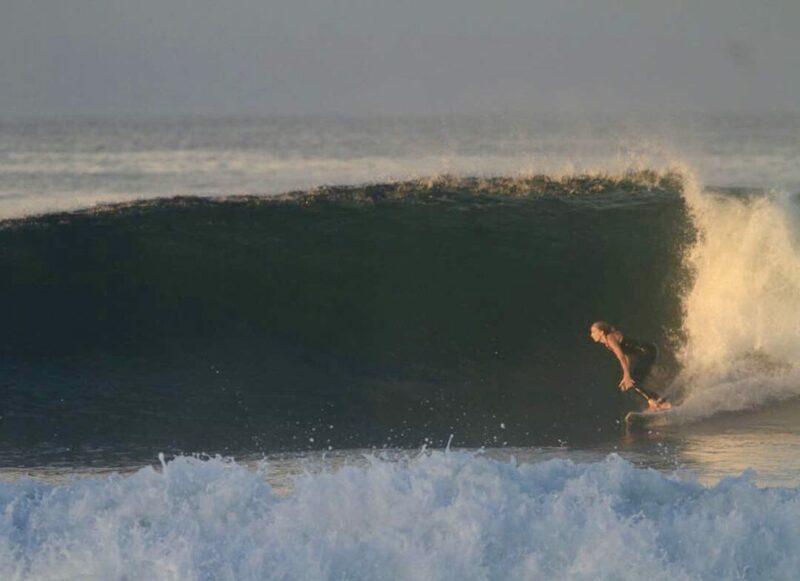 We’ll walk from the resort to super fun beach break waves with awesome green waves for working on takeoffs to turns, and really fun whitewash waves on the inside for learning to stand up for the first time.